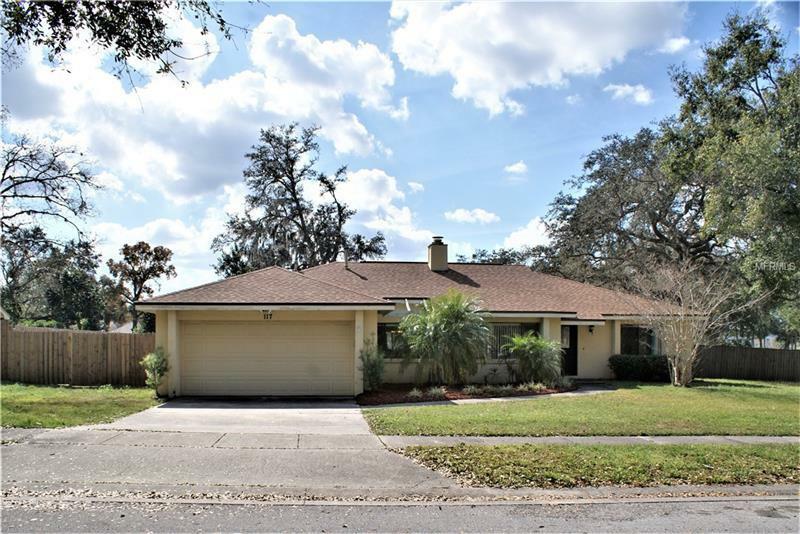 Great location in Lake Mary only 3 miles from I4, very close to shopping and schools. 3 Bedroom 2 Bath 2 car garage. This home has split bedroom plan. Sunken Living room has fireplace for the cool evenings. Family room has sliding doors to the back patio. Remodeled Kitchen with Granite counters and Stainless Steel Appliances, Closet Pantry and room for table for 2. New wood look tile in living and family room. Vaulted Ceilings, Master Bedroom is 16x13 with walk in closet, Master bath has granite, tile, walk in shower with tile surround. Back yard is privacy fenced. Mature landscaping gives this home nice curb appeal. This is a very desirable neighborhood. Very affordable HOA only 106.00 per year. Public water and sewer. Roof is one year new, Don't wait this home wont last long. Pet Restrictions: Check with HOA per Per Restrictions!